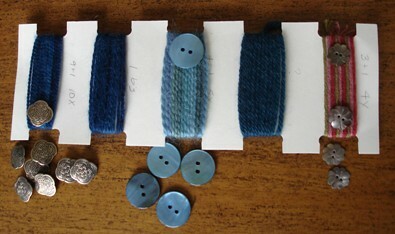 Another quick trip to Portland, I finally made it to The Button Emporium And Ribbonry. Once inside, I was overwhelmed, every few seconds I’d see a button I wanted. 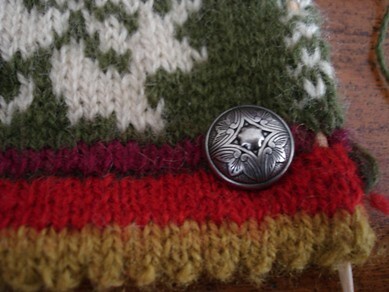 Fortunately, I had taken a ‘yarn chip’, kinda like a paint chip, but with yarns intended for patterns that include buttons. I wrote the number of buttons needed next to each yarn. I do better when I know how many, what size, and what color button I need. I did not EVEN get into the ribbons. That was too overwhelming. The fancy ribbons had fancy prices, so I need to have a plan for them. I have some ideas now and I’ll be back there next week. Entry filed under: Cool Things, latest project. Tags: buttons, Portland. oh man!! I LOVE the buttons!! 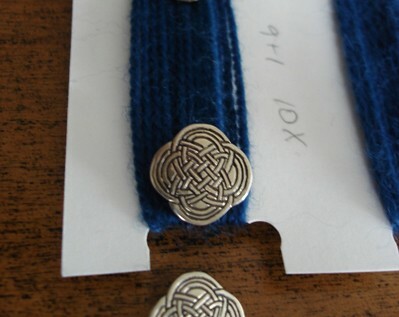 Especially the ones in the last picture… maybe it’s the combination of the colors of the yarn on the card…beautiful. Way cool buttons! Kind of makes me want to get back into knitting again.